How about me dropping Final Fantasy X-2 and picking up Breath of Fire III? Already done! I just forgot to mention it here. Well hot damn, at this rate I better grab me a slot for my next game before they all get eaten. we've got four openings and a drought of interest so any LPs at this point would be dandy. There's so many being raised from the dead, I can't bring myself to be concerned about a lack of brand new ones. This makes me happy to hear! Lining people up to record is the last step in getting this off the ground, if you're so inclined feel free to watch the first half of the first update with no commentary. E: Actually I think I'm going to just make an entirely new video since I'm upgrading my RAM today and Loki informed me that mouse-on-screen is one of the Sins of LPing up there with Unregistered Hypercam 2. E2: And part two if you really want it. Last edited by Serephine; 12-19-2011 at 08:56 AM. Okay, so because I'm a silly person and forgot to check here, I'll be starting my LP this weekend/break. I would have started sooner, but well, life. I'd like to claim The 7th Saga, starting immediately. Don't do it, Mogri! You have so much to live for! My descent into madness is already complete; this is not a symptom, but a manifestation. May the Nine have pity on your soul... I'll be with you every step of the way. By my count, even after Mogri's new LP, there's still an opening. I'm starting DMW3 immediately. Finishing a game, it turns out, makes me want to replay it! Aside from finding some players, I'm ready to run a game of Mansions of Madness. Just say the word and I'll start the thread. In February, I would like to start a Let's Play of the homebrew IF Curses, please. Okay, yeah. I hate to admit it, but I just can't do The Genius of Sappheiros right now. I barely managed to write the first two updates and that just obliterated my motivation to do it. I've done a couple offsite LPs before, but I wasn't expecting Sappheiros to be that bad. So I'd like to take a slot for January, and play a game I know I can play (even if it will, in the end, cause me far more pain than Sappheiros in the long term); Wizardry IV: The Return of Werdna. I actually tried LPing this game before, so I know it's not a complete ordeal to actually write for, screenshot, and find a way to make into a good LP! Edit: Oh, yeah, and if someone else (say, Kalir) wants to try their hand at LPing the game, they can; I'll drop my reservation, and if it's still not been LPed later on, I might try it again. Edit 2: Also, I didn't mean to take a spot in January for Wizardry V. That would certainly be less masochistic, but it'd also be much more intensive from an LPing standpoint, believe it or not, than playing the horror that is Wizardry IV. Last edited by Asema; 12-31-2011 at 04:36 PM. May all the deities have mercy upon your soul, Asema. I know only the smallest amount about Wizardry IV, but I know it's nasty. Oops. Anyway, it's fixed now. Best of luck! Where we're going, the deities ain't showing me any mercy. Hey, Papillon... 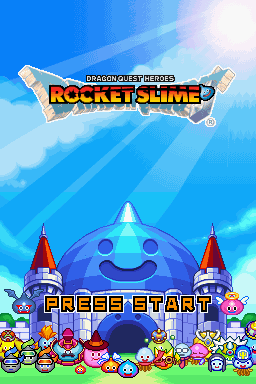 Think I could take one of this month's slots to do Dragon Quest Heroes: Rocket Slime on the DS? It's going to be magical. Oh hells yes. Rocket Slime is the best. Sounds like a goo-reat idea to me! ...This is goo-ing to be terrible. And brilliant. Loki gave me permission to resume the Beyond Zork LP. So this is the line to request a month-slot-thing? Did I fill out the form right? Reclaims don't require a queue entry, actually. Certainly they don't for abandoned LPs. Pretty sure they don't for adopted ones either, but you can wait for PapillonReel to respond first if you prefer. Yeah; if you're adopting an abandoned LP, you can go ahead and start right away. The queue's only there to keep new threads from spiralling out of control.